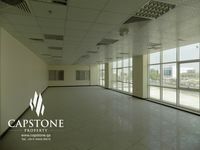 Start Your Business in Madinat Khalifa! If you are looking for an elegant and family-friendly place to live in, we advise you to check Properties for rent in Madinat Khalifa. This vital area provides you with the high quality of life that you desire. As a result of the continuous growth of the Qatari investments, the need for properties to rent in Qatar increases. Residents keep moving and settling in Qatar either to develop their careers or to change their lives. Qatar is always ready to provide a perfect residence for the new arrivals, and Madinat Khalifa is the best proof. Madinat Khalifa is the most popular and beloved area in Doha. 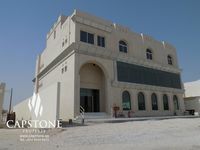 It is located in the Western North of Doha. It is divided into two sections; Madinat Khalifa south and Madinat Khalifa North. Madinat Khalifa offers an easy and quick access to almost all areas of the city. Families prefer the life in Madinat Khalifa, as it is full of enjoyment and facilities. It is close to the famous malls offering well-known trends like; Landmark Mall and Lulu Hypermarket. It has also several nurseries and schools like; Compass school and the International School of London. That is, of course, besides many restaurants, café shops and gardens in which children can play freely. All these facilities make life there easier and more convenient. Properties for rent in Madinat Khalifa give you the additional luxurious option; to have a gym and a swimming pool in the building you live in. There are different aspects of Properties for rent in Madinat Khalifa. You have the option to choose what suits you. There are apartments, private villas, and villas connected to residential dwellings. Apartments, for example, vary in shape and size; starting with studios going up to three bedrooms. Villas are the suitable option for people looking for more space, privacy and more than three bedrooms, and they are usually located in compounds. You also have the option to choose your property unfurnished, and furnish it in the way you like, or furnished if you are in a hurry and looking for a quick solution. Comparing it to the other areas of the city, Properties for rent in Madinat Khalifa are considered to be not very expensive and that is another reason for its popularity. 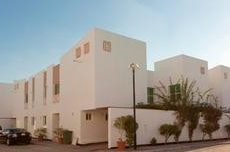 Safety and security are also additional reasons that attract families to have Properties for rent in Madinat Khalifa. The design of Madinat Khalifa makes families more connected in the shape of a small community, which makes it easier to make new friendships. Properties in Madinat Khalifa enjoy a mixture of both the traditional and modern designs. Some areas remain to be the favourite to the residents of Qatar, and Madinat Khalifa is one of them. It is considered to be one of the first residential areas in the city. Madinat Khalifa successfully obtained the approval and appreciation of residents for being well equipped and budget friendly. Just Property can help you find your next dream rental.